Today we are going to take the high road or possibly no road at all. 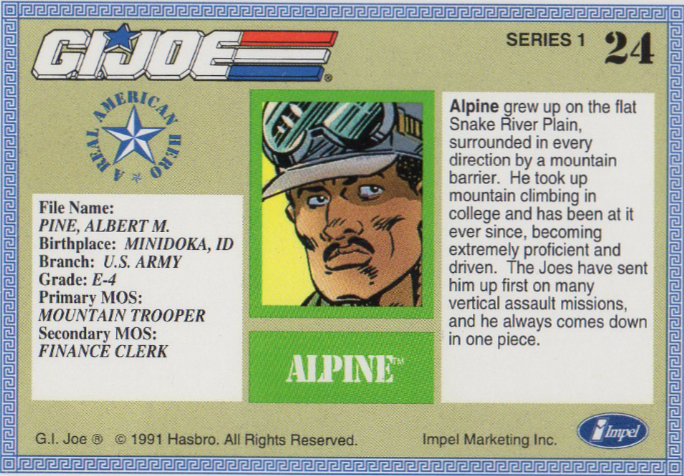 In any case, we are getting high with Impel Trading Card #24, Alpine. 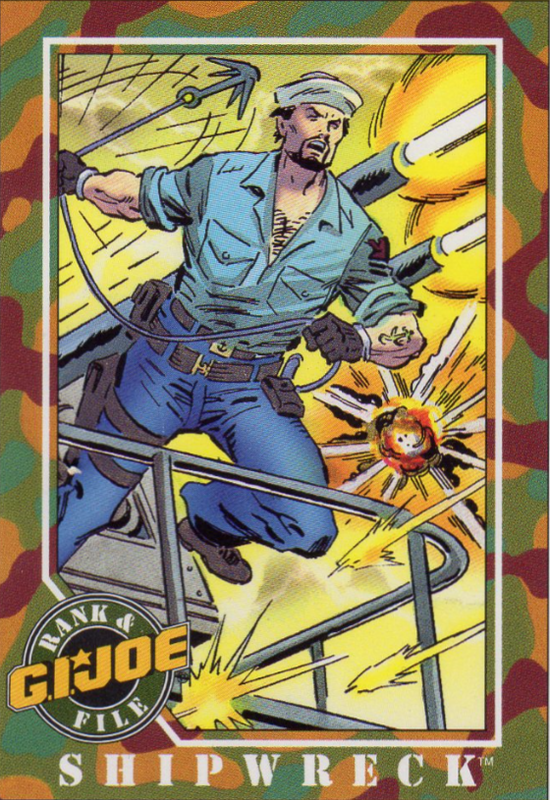 The first memory I have of Alpine is from the Special Missions #2. On this mission, he and Airtight are diffusing a WWII gas bomb on an old bomber that is stuck in a melting glacier. Whilst they are busy with that, another Joe team is in Brasil to protect a wanted Nazi – Doktor Otto Totenschadel. I won’t spoil the story here, if you haven’t read it yet, make sure you do. I feel the Special Missions are more serious and real world than the regular ARAH stories. Words of Honor is one of my favorite stories. It shows the impact WWII still has on our society. As for the toy line, there have been 7 versions of Alpine released between 1985 and 2015. The original figure did not get a second (and third and fourth!) version until 2004, and I have to say that the 2004 figures are not that great looking. 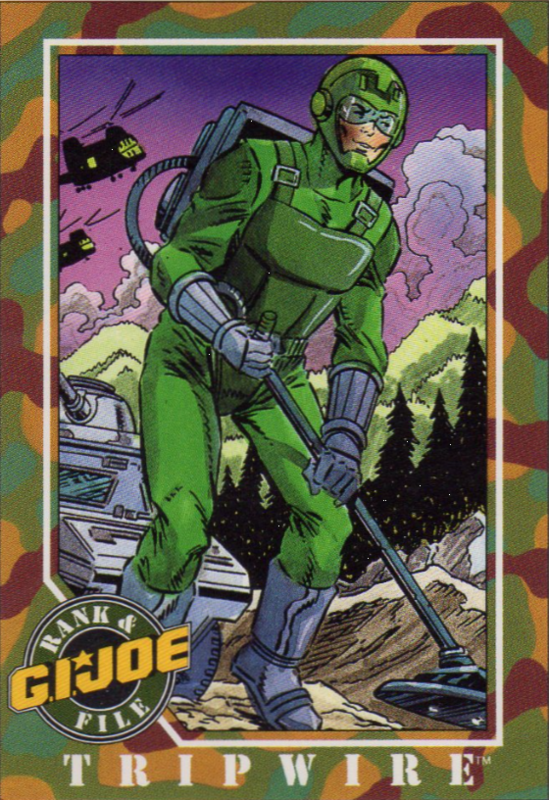 They are all 3 repaints of the same model, and the fourth version made him actually white… This version came in a Tiger Force themed two-pack with Cross Hair. The package art does show Alpine as black, so guess someone in the Hasbro factory is colorblind or something 🙂 They did release a darker version in the same pack later on, so maybe it was a production error? Anybody have any information on this? 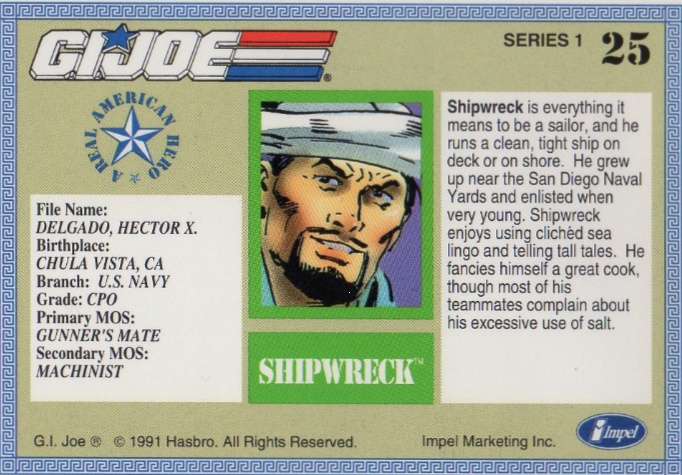 I hope you all get to find some Joes underneath the tree on Christmas morning. In case you haven’t done so yet, go and check out the G.I. Joe reviews from Formbx257 on Youtube. I’ll post a link below to his Tripwire Review. What do you think of the figure? Let me know in the comments. 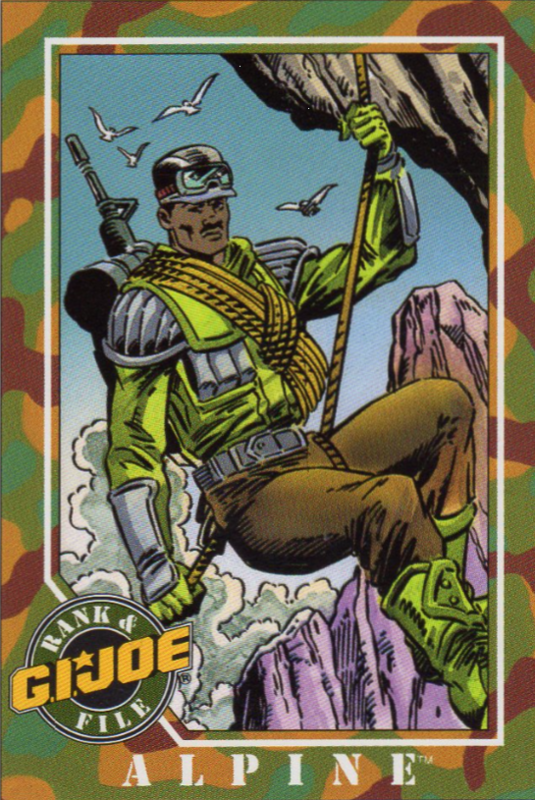 In the comics and cartoons, the character works great as comic relief between the often serious and dangerous missions of the Joes. 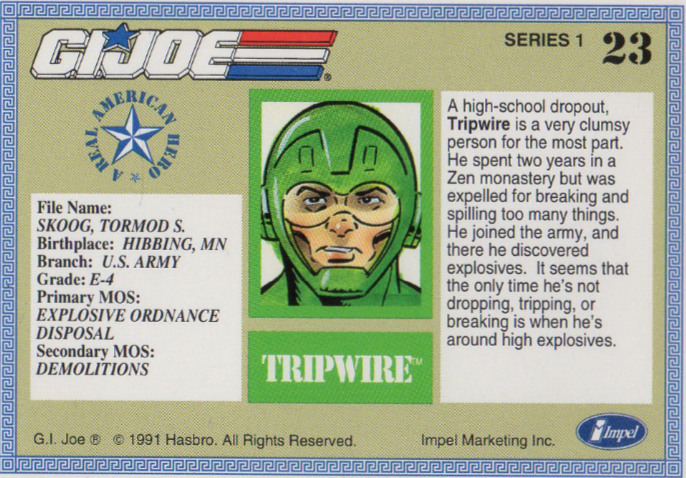 The other Joes really need to have steel nerves and cool to go on a mission with Tripwire in the team. Not sure I could cope with someone like him on my team. That’s it for this week. I’ll try and post #24 and #25 this year. As always, Happy Collecting and YoJoe!